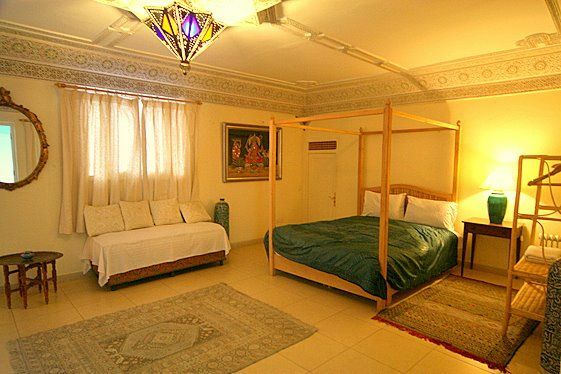 Dar Jameel, the House of Grace and Beauty, offers traditional Moroccan style with modern comfort, friendly hospitality and attentive service. 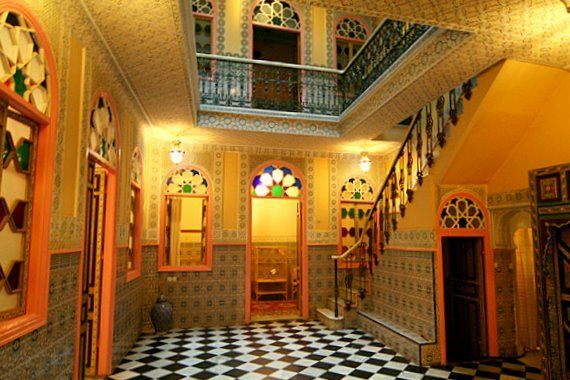 Dar Jameel - your ultimate retreat in Tangier, offers you a peaceful sanctuary and an intimate, comfortable and relaxed space amid the bustling life of the medina. We are less than ten minutes from the International port of Tangier.and the centre of town; ideally situated as your starting point for your exploration of Tangier and beyond. With 4 en-suite rooms and 4 standard rooms (private external bathrooms), Dar Jameel has accommodation to suit every budget. 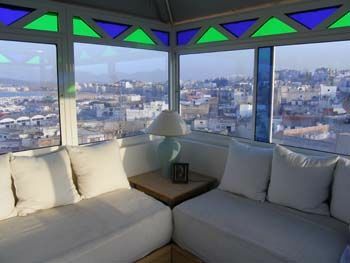 There is also a large salon, a roof terrace and penthouse for communal use. With a maximum of 20 guests at any one time, Dar Jameel has the comfort and intimacy of a large private house with the space and amenities of a small hotel. An ideal property for holidays with family or friends, special celebrations or that romantic getaway.Important: Please note that the CVV code of your credit card is required by the property in order to hold your reservation. After booking you will be contacted in relation to this, should this information not be provided the property reserves the right to cancel the reservation. From Tanger Ville railway station or Tanger port take a blue petit taxi to Dar Baroud ,Medina .This should cost between 30-50 Dirhams and take 10 minutes; from the airport the cost is between 100-200 Dirhams. As you pass the gateway to the Hotel Continental turn immediately left into a small square, stop the taxi, get out, cross the square , go down the steps and take the street directly in front; Rue Mohammed Bergach. Dar Jameel is No.6, the third doorway on the right. Alternatively, leave the main entrance of the port on foot, turn right and take the second right, climb this street and enter the medina through an archway, Dar Dbagh. After 5 minutes following the main route you see the entrance to the Hotel Continental on your right. Proceed as outlined above. If you are coming from the new Tanger Med port there is a free CTM bus that takes you to the main entrance of Tanger port. Then proceed as above. Our house manager, Idriss, can help you with directions , give advice or arrange a pick-up . He can be contacted by phone on : 0661092780 from within Morocco or 00-212-661092780 from outside Morocco or from a foreign mobile.